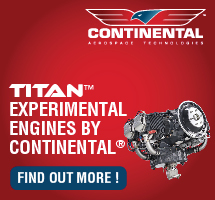 We spoke with John McBean of Kitfox Aircraft to hear first about his new installation of the Rotax 912 iS engine on a Kitfox flown from Idaho to Florida. But we also spoke about the durability of the Kitfox in a flight training environment. Hear about one airframe with more than 1,700 hours and more than 5,000 landings, all in flight instruction. At Sebring we examined several LSA to dispel the mistaken rumor that LSA can't hold up in flight instruction. We spoke with John McBean of Kitfox Aircraft to hear first about his new installation of the Rotax 912 iS engine on a Kitfox flown from Idaho to Florida. But we also spoke about the durability of the Kitfox in a flight training environment. 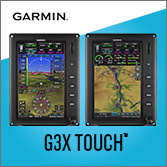 Hear about one airframe with more than 1,700 hours and more than 5,000 landings, all in flight instruction. At Sebring we examined several LSA to dispel the mistaken rumor that LSA can’t hold up in flight instruction. One of light aviation's standard-bearers is the Kitfox. With more than 3,000 flying worldwide, this kit success story is now available as a ready-to-fly Special Light-Sport Aircraft than can be and is used in taildragger flight schools. This video looks at a very clean example of a Kitfox that does flight training for tailwheel and back country operations. 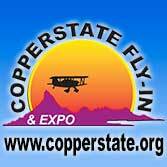 We talk with company owner John McBean and the flight school operator, Paul Leadabrand. One of light aviation’s standard-bearers is the Kitfox. With more than 3,000 flying worldwide, this kit success story is now available as a ready-to-fly Special Light-Sport Aircraft than can be and is used in taildragger flight schools. This video looks at a very clean example of a Kitfox that does flight training for tailwheel and back country operations. 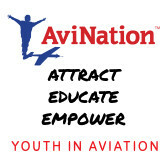 We talk with company owner John McBean and the flight school operator, Paul Leadabrand. Kitfox hails from Homeland, Idaho in the Great American West. It's a long way from Sebring. Yes, floats can work on snow. Northern states have seen an abundance of the white stuff this winter. Team Kitfox stayed home from Sebring 2014 to continue cranking out kits and fully built SLSA. Folks at Sebring 2014 noted some unoccupied exhibit spaces. As always, a few thought exhibit sales were down but another explanation are no-shows. With the northlands enduring one of the more cold and snowy winters of recent memory, a few aircraft that planned to display never left their hangars. I'll follow with about the whys and wherefores for other companies, too, but one notable miss was Kitfox, a company that for years has made the long trek from Homedale, Idaho. You might think they just didn't want to fly diagonally across nearly the entire U.S. in a hard winter and who could blame them? Yet the company offered a more nuanced explanation. "Our decision to not attend the U.S. 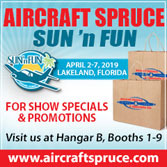 Sport Aviation Expo in Sebring, Florida was a tough one, but was driven by our desire to deliver the best customer service possible. [Sebring] has been a valuable show for us in the past but due to our backlog of orders and the fact that our small, dedicated team of professionals hand crafts each Kitfox SLSA and Kitfox kit, we would have diminished manpower just as our product back order has been increasing." That's good news for Kitfox and is a common situation for LSA providers as they experience growing sales after some slow years. Manufacturers have to balance the costs involved with attending a show with the need to keep staff working to build and deliver airplanes. 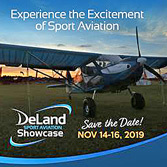 "Kitfox has been attending this great event for many years and enjoyed some terrific island hoping in the Bahamas as a reward for those working the show," said John. "We will really miss the fun of greeting folks and getting away from the Idaho winter, but meeting our delivery commitments comes first." Good for the Kitfox Team for sticking to business, though of course the crowds at Sebring missed seeing their shiny, affordable airplanes. To compensate, Kitfox offered a show special as if they attended. For example, the company includes reimbursement credits when buyers visit their expanded plant in Idaho. "It's like a mini vacation, with flying thrown in," John said, plus they offer some free options. A kit version of the Kitfox — already a value purchase — is further enhanced by the show special deal. 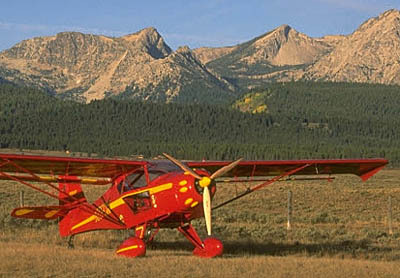 Since long before LSA burst on the scene, Kitfox has been a pioneer in kit airplanes. They didn't miss a beat when LSA came along, meeting the ASTM standards for a fully-built SLSA version. Now, with nearly 30 years of manufacturing experience, Kitfox features refinements that continue the reputation of a backcountry performer while adding a respectable 120 mph cruise speed to a range of over 600 miles. Being American made doesn't hurt either. We have a lot of fine LSA from overseas but Yankees still like buying American when the product is as gleaming and polished as Kitfox. 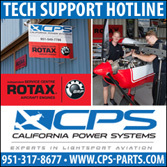 Give Kitfox Aircraft a ring or send an email to hear how their Sebring show special can save you money. Folks at Sebring 2014 noted some unoccupied exhibit spaces. As always, a few thought exhibit sales were down but another explanation are no-shows. With the northlands enduring one of the more cold and snowy winters of recent memory, a few aircraft that planned to display never left their hangars. I’ll follow with about the whys and wherefores for other companies, too, but one notable miss was Kitfox, a company that for years has made the long trek from Homedale, Idaho. You might think they just didn’t want to fly diagonally across nearly the entire U.S. in a hard winter and who could blame them? Yet the company offered a more nuanced explanation. “Our decision to not attend the U.S. Sport Aviation Expo in Sebring, Florida was a tough one, but was driven by our desire to deliver the best customer service possible. [Sebring] has been a valuable show for us in the past but due to our backlog of orders and the fact that our small, dedicated team of professionals hand crafts each Kitfox SLSA and Kitfox kit, we would have diminished manpower just as our product back order has been increasing.” That’s good news for Kitfox and is a common situation for LSA providers as they experience growing sales after some slow years. John McBean and a great looking, high time Kitfox at AOPA Summit 2012. This Kitfox has done plenty of duty and toured the USA but doesn't show the wear and tear. See our Kitfox video. 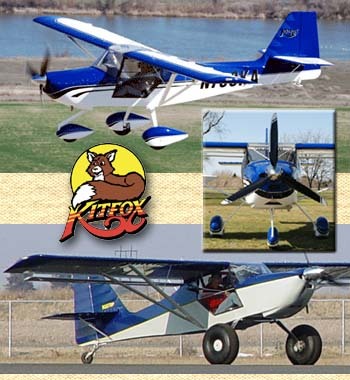 Kitfox models are available in either taildragger or nosewheel form for the same price, about $95,000 (in late 2012). Again, I heard a common refrain. This time was at the recently concluded AOPA Summit 2012 in Palm Springs, California. 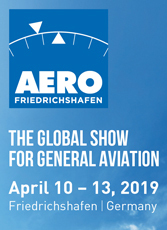 I was speaking with some GA fellows, the kind — like so many — that know well of Light-Sport Aircraft but have opinions about them based on speculation or heresay. This time it was the familiar, "LSA are nice little airplanes, but they are too lightly built to hold up to the duty of a traditional flight school environment." I've heard this statement so many times I've lost count. Right before the above conversation, I had been visiting with my editor/publisher friend Ben Sclair of GA News fame and Kitfox Aircraft co-owner John McBean. Ben and I were admiring a handsome tundra tire-equipped, taildragging Kitfox that looked immaculate — as John's airplanes usually do. Truly, it looked almost new. It was not. I told the GA "experts" in the opening conversation that they needed to go look at this particular Kitfox to see how well a LSA can endure flight training. I hope they did so. The airplane pictured nearby has quite the credentials as shown on a sign placed under the chrome-plated main gear. It has logged 1,700 hours, the majority of which have been acquired in a flight school. The shiny bird has more than 5,000 landings, nearly all by flight students. Here it is coming up on an engine overhaul and yet you'd consider buying this aircraft thinking it might be a lightly-used factory demo. Absolutely, it bears no resemblance to used-and-abused flight school airplanes even though it is a taildragger. On top of the flight school pounding — students must be allowed to make mistakes if they are to learn, IMHO — this particular airplane has traveled from Washington state to San Diego to Vermont and to Exuma in the Bahamas... pretty much all four corners of this big country... and beyond. Of course, Kitfox N726KA has enjoyed careful maintenance by both Kitfox Aircraft and Stick & Rudder flight school owner, Paul Leadabrand. Yet that's no different from any quality flight school with a fleet of Cessna 150s or Piper Tomahawks. The all-too common GA belief is that if an airplane doesn't weigh 1,650 pounds, like the 150 and T-hawk, it must be built sturdily enough to hold up in training. I say, in the best tradition of VP Biden, "Malarkey!" Need more proof? I've already posted articles on an Allegro 2000, which has lived its whole life in a flight school that continues work even after a second 2,000-hour overhaul of its Rotax 912 engine. I've written about a Remos G3 with more than 20,000 landings and 3,500 hours, all in flight training. I know of a Flight Design CT2K that long ago had logged 13,268 landings. These may be anecdotal. Certainly some LSA have experienced problems in the harsh environment of primary flight training yet it is obvious that a carefully maintained LSA can indeed log thousands of hours of flight training. Does this mean these hardy trainers are costly? Nope. The Kitfox pictured here is available (in late 2012) for $95,000 with such desirable equipment as a 10-inch Dynon SkyView, Garmin radios, your choice of taildragger or nosewheel, and a white paint job. You can spend more but it isn't necessary. When John McBean and I reflected on the expectation of a $60,000 back in 2003 — the year before LSA were introduced to the market — his present-day Kitfox SLSA with equipment we couldn't imagine then (i.e., synthetic vision) is a virtue of aircraft pricing. Again, I heard a common refrain. This time was at the recently concluded AOPA Summit 2012 in Palm Springs, California. I was speaking with some GA fellows, the kind — like so many — that know well of Light-Sport Aircraft but have opinions about them based on speculation or heresay. This time it was the familiar, “LSA are nice little airplanes, but they are too lightly built to hold up to the duty of a traditional flight school environment.” I’ve heard this statement so many times I’ve lost count. Right before the above conversation, I had been visiting with my editor/publisher friend Ben Sclair of GA News fame and Kitfox Aircraft co-owner John McBean. Ben and I were admiring a handsome tundra tire-equipped, taildragging Kitfox that looked immaculate — as John’s airplanes usually do. Truly, it looked almost new. It was not. I told the GA “experts” in the opening conversation that they needed to go look at this particular Kitfox to see how well a LSA can endure flight training. Kitfox Super Sport SLSA specs: span 30.67 ft; wing area 128 sq ft; gross weight 1,320 lbs; empty weight 768 lbs (before options); useful load 552 lbs; payload 390 lbs; Rotax 100-hp 912S; 3-blade composite prop; fuel 27 gal; 123-mph (107 kt) cruise; and stall 49 mph (42 kts). REPORTING FROM SUN 'N FUN --- The season-launching Sun 'n Fun airshow starts in one day and the countdown to SLSA Number 100 rushes onward. Welcome to Kitfox Aircraft -- a U.S. brand you already know (now LSA producer Number 70) -- and their new Super Sport LSA, Number 97 on the SLSA List. *** Kitfox Aircraft is the current owner of a legacy brand in light aviation. A major success story with more than 4,500 aircraft accumulating more than a million flight hours, Kitfox is celebrating its 25th year in business. Kitfox boss John McBean called from Texas as he was enroute to Sun 'n Fun to confirm the airworthiness certificate he forecast a few days earlier. 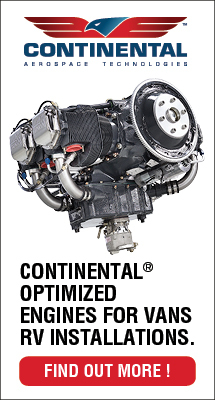 *** Base priced at $83,495, this all-American brand comes with many of the same features seen on costlier LSA. Its moderate price provides basic flight instruments but interesting safety qualities such as an Angle of Attack indicator (a system which compares differential pressure of the upper and lower wing surfaces) and 25 years of history with never a structural failure. 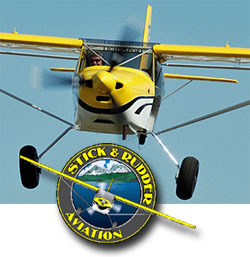 Options include the usual glass screens and radios plus 26-inch tires (taildragger only; see photo). If you're interested in buying American, here's a classic choice. REPORTING FROM SUN ‘N FUN — The season-launching Sun ‘n Fun airshow starts in one day and the countdown to SLSA Number 100 rushes onward. Welcome to Kitfox Aircraft — a U.S. brand you already know (now LSA producer Number 70) — and their new Super Sport LSA, Number 97 on the SLSA List. *** Kitfox Aircraft is the current owner of a legacy brand in light aviation. A major success story with more than 4,500 aircraft accumulating more than a million flight hours, Kitfox is celebrating its 25th year in business. Kitfox boss John McBean called from Texas as he was enroute to Sun ‘n Fun to confirm the airworthiness certificate he forecast a few days earlier. 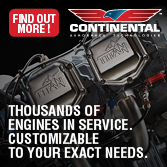 *** Base priced at $83,495, this all-American brand comes with many of the same features seen on costlier LSA. Its moderate price provides basic flight instruments but interesting safety qualities such as an Angle of Attack indicator (a system which compares differential pressure of the upper and lower wing surfaces) and 25 years of history with never a structural failure.